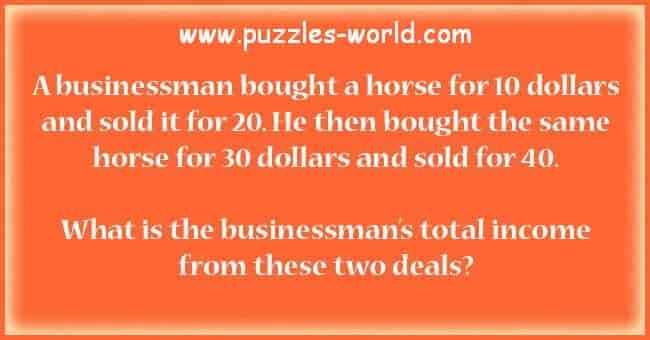 The total income of businessman is $20. Horse was bought at $10 and sold for $20. So $10 Profit. Again horse was bought at $30 and sold for $40. Again $10 profit. So Total Income is $10 + $10 = $20.